Stomach, Forestomach - Ectopic pancreas in a female B6C3F1 mouse from a chronic study. Ectopic pancreatic acinar cells are present in the submucosa of the forestomach (arrow). 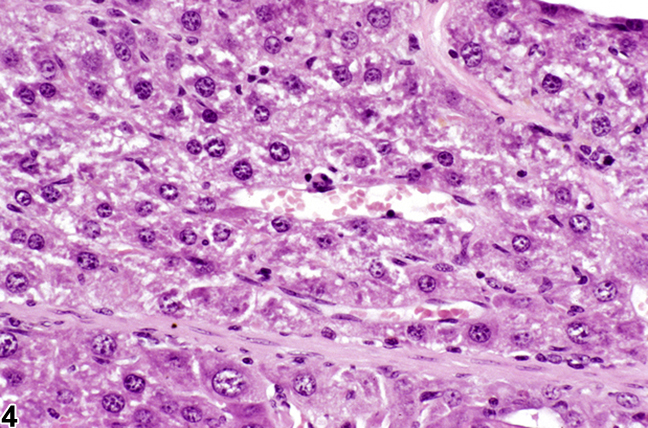 Stomach, Forestomach - Ectopic pancreas in a female B6C3F1 mouse from a chronic study (higher magnification of Figure 1). 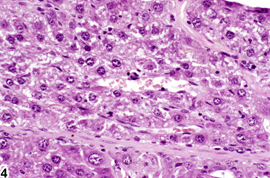 Ectopic pancreatic acinar cells are present in the submucosa of the forestomach. Stomach, Forestomach - Ectopic liver in a female F344/N rat from a chronic study. 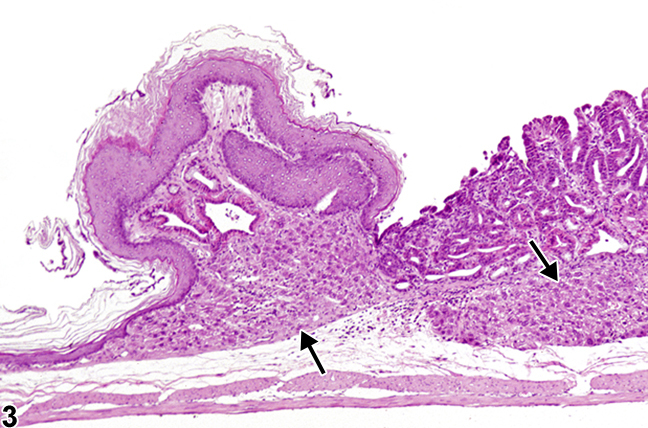 Ectopic hepatocytes (arrows) are present in the submucosa adjacent to the limiting ridge. 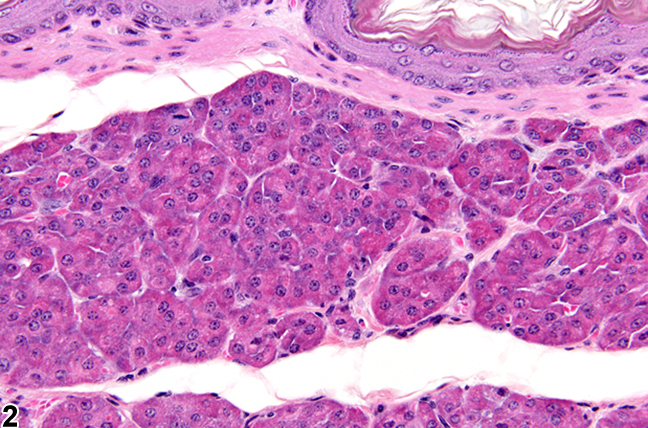 Stomach, Forestomach - Ectopic liver in a female F344/N rat from a chronic study (higher magnification of Figure 3). Ectopic hepatocytes are present in the submucosa adjacent to the limiting ridge. 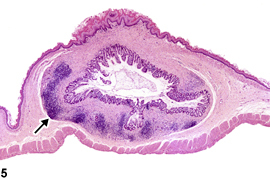 Stomach, Forestomach - Ectopic intestine in a male F344/N rat from a chronic study. The submucosa is expanded by a focus of ectopic intestine with gut associated lymphoid tissue (arrow). Whenever present, ectopic tissue should be diagnosed but not graded. The diagnosis should be modified with the tissue of origin. Frantz JD, Betton GR, Cartwright ME, Crissman JW, Macklin AW, Maronpot RR. 1991. 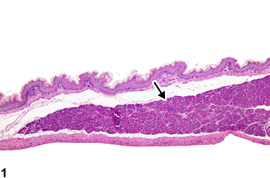 Proliferative lesions of the non-glandular and glandular stomach in rats. GI-3. In Guides for Toxicologic Pathology. STP/ARP/AFIP, Washington, DC, 1-20.